This is an overview of my published photos and award-winning images. My first big opportunity to share my photos with a larger audience was in 2005, when three of my images received an Honorable Mention in Aviation Week & Space Technology magazine's annual photo contest. They were published in the December 2005 Photo Contest Issue. Here are two of the images. 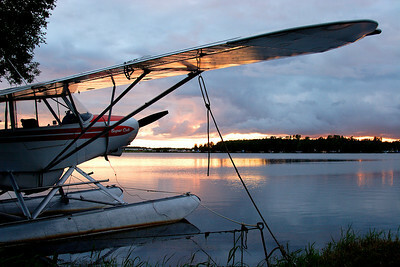 My favorite (on left) is a floatplane at sunset at Anchorage's Lake Hood. 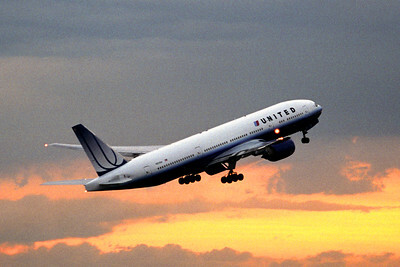 The other print is a United Airlines 777 departing Tokyo's Narita Airport at sunset. Hmmm...sunsets and clouds can make for good images. Piper Cub and Sunset at Lake Hood, Anchorage. This image received an Honorable Mention in Aviation Week & Space Technology Magazine's 2005 Photo Contest. 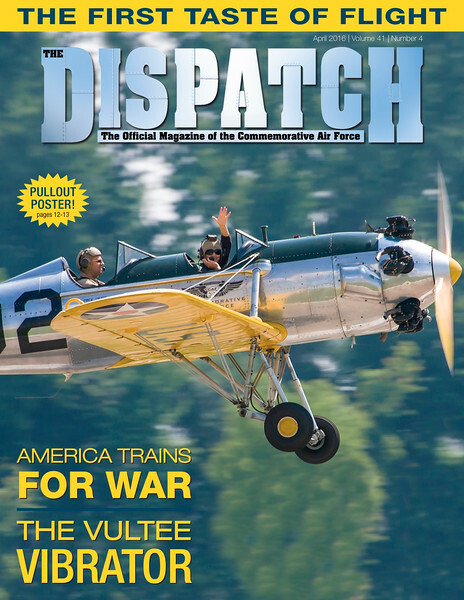 The cover of the April 2016 Dispatch (the official magazine of the Commemorative Air Force) featured one of my images. 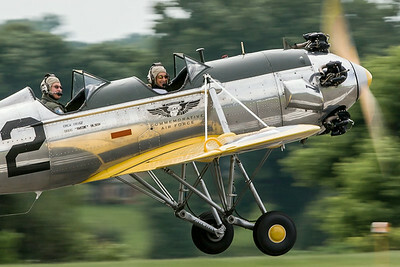 This shot shows the Minnesota Wing's Ryan PT-22 Recruit training aircraft piloted by Janaka Buldoc with a Living History Flight passenger waving to the crowd at Lakeville, MN airport. This image received a first place award in the CAF's 2015 Photo Contest, which was judged by Caroline Sheen, the photography and illustrations editor at the Smithsonian's Air & Space magazine. 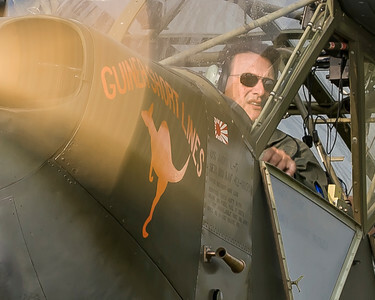 The image depicts Minnesota Wing pilot John Schmidt taxiing the wing's Stinson L-5 at Oshkosh, Wisconsin. Click on the image to view a larger image and the full description. Three of my images received awards in the Commemorative Air Force's 2014 Photo Contest. I enjoy sharing my images with the Commemorative Air Force to help promote this great organization. Hover your mouse over the image to reveal photo information. Click on the images to view a larger image and the full description. 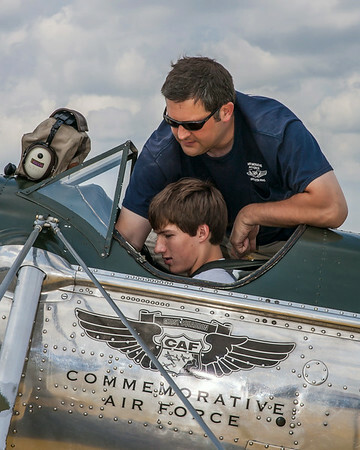 MN Wing Col Mike Schoen (back seat) pilots PT-22 on History Flight at Fleming Field, MN. CAF Pilot Shawn Hokuf briefs PT-22 History Flight passenger Karl at Bemidji, MN. 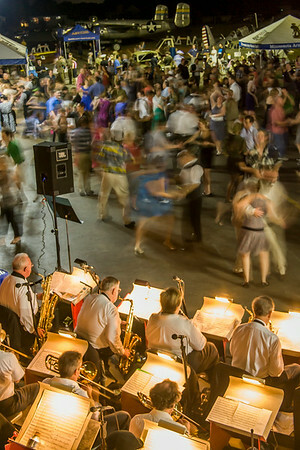 Guests dance to music of the Roseville Big Band at MN Wing Bomber's Moon Hangar Dance at South St Paul Airport; Sept 2013. 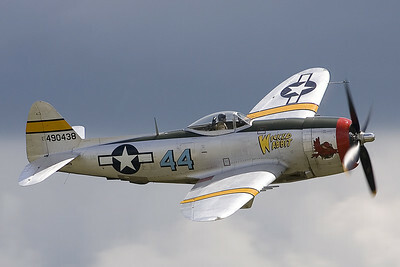 I was blessed with several great photo opportunities during my first year of membership in the Commemorative Air Force. This image received a first place award in the CAF 2013 Photo Contest. 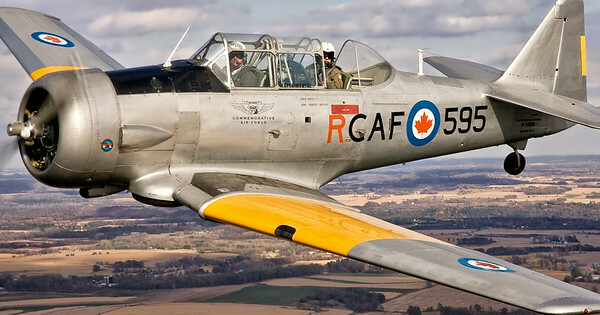 The Minnesota Wing's Harvard, piloted by CAF Col Tim Barzen, on a fall flight. Photographed from Minn Wing B-25. 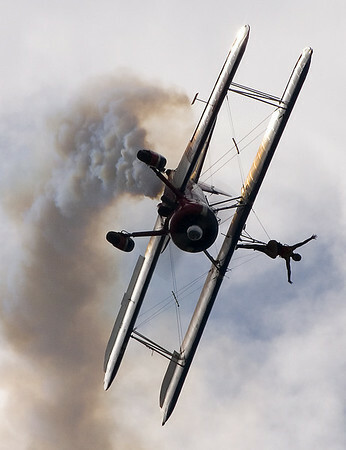 Several photos received awards in the 2007 Indianapolis Air Show Photo Contest. See my Indy Air Show gallery for more images. 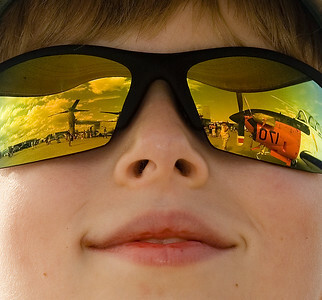 First Place, Air Show Experience Category: Air show visions are reflected in my son's sunglasses. First Place, Historic Military Aircraft Category: A beautifully maintained Republic P-47 Thunderbolt roars past. 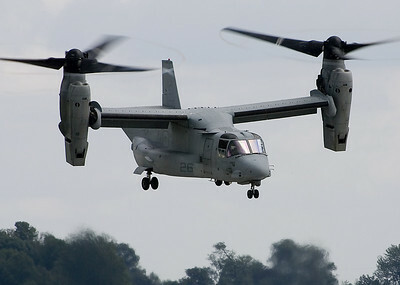 Third Place, Military Aircraft Category: A USMC MV-22 Osprey takes off. My images received two third place awards in the Military Officers Association of American (MOAA) 2007 Photo Contest. 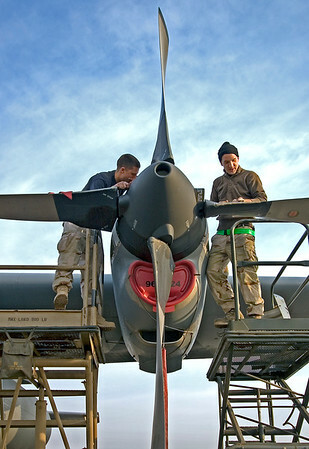 The first photo (on left) in the "On Duty" category depicts two Air Force Maintainers repairing a C-130 propeller in Southwest Asia. 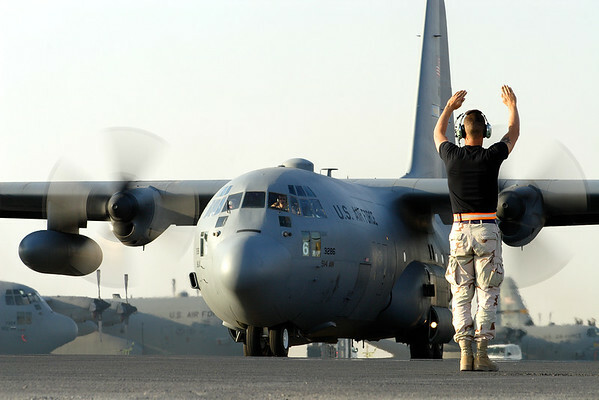 The second image (Camaraderie category) shows Idaho Army National Guard troops boarding an Air Force Reserve C-130 in Iraq. Both images were shot in late 2005 and were published in the July 2007 issue of Military Officer magazine. 3rd Place, MOAA 2007: Air Force maintainers repairing a C-130 prop. 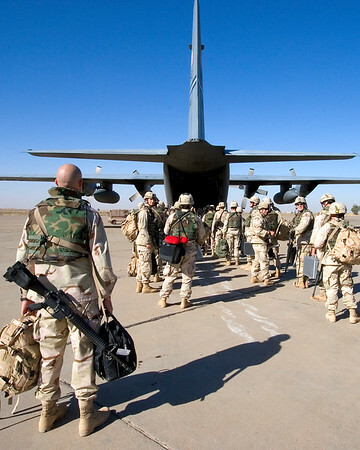 3rd Place, MOAA 2007: Troops boarding C-130, Iraq. In the Military Officers Association of America (MOAA) 2006 photo contest, one of my photos received a first place and another a third place award. The winning image (on left, Camaraderie category) shows two maintenance troops crossing the flight line at sunrise. 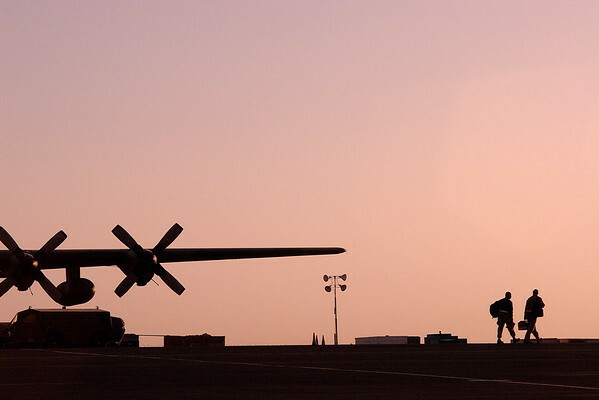 The third place image (On Duty category) illustrates a crew chief marshalling out an Air Force Reserve C-130. The images were published in the July 2006 issue of Military Officer magazine. I shot both images in Southwest Asia in late 2005. Maintenance troops walk across the flight line as the sun rises; Southwest Asia. 3rd Place, MOAA 2006--Crew chief marshaling out C-130; Southwest Asia. This image received third place in the Reserve Officers Association (ROA) 2006 photo contest and was published in the ROA's 2007 calendar. The scene shows an Air Force Reserve C-130 in Southwest Asia (SWA) launching for a mission. I also shot this image during a deployment to SWA in late 2005. 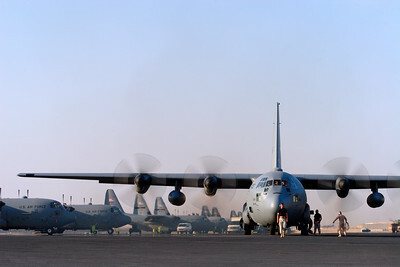 3rd Place, ROA 2006: Air Force Reserve C-130 launches on mission in Southwest Asia.